So… It’s an interesting conjunction of coincidental (and a bit arbitrary) alignments we’ll see this week: a Super Moon (Moon at perigee – closest point to Earth – while full); a Blue Moon (arbitrary, second full Moon in January. Seriously, we made this up. ); a Cold Moon (again, just the name we give the full Moon this time of year); and a Blood Moon (that is, a total lunar eclipse). It all happens in the pre-dawn sky on the morning of January 31 (Wed). Now, this is a long string of adjectives. And even removing Cold from the list, we’ve seen countless media reports that it’s incredibly rare, first time in 150 years, etc. However – and this is the frustrating part – the entire East Coast of the US will miss out, and nobody in the media seems to have figured that out yet. Because of the geometry of this particular event, the eastern half of North America will be rotating through to the daylight side of the planet BEFORE the Moon reaches totality. In other words, the Moon will have set, and the Sun risen, before totality occurs… No Blood Moon. (Totality starts at 7:51:47 Eastern Standard Time). Anybody east of the Mississippi will likely miss out. Those along the Mississippi may see totality while the Moon is split by the horizon (that may be interesting in and of itself). In the figure below, the “U2” line indicates the location where moonset and start of totality coincide. But make no mistake – this is a west coast, Pacific, Australia and Asia event. I saw two articles today that underscored the misinformation – the first by a weather outlet, indicating that Eastern and Central parts of the country would have the best views (presumably because of clear skies, and with no attention to the location of the actual Moon). 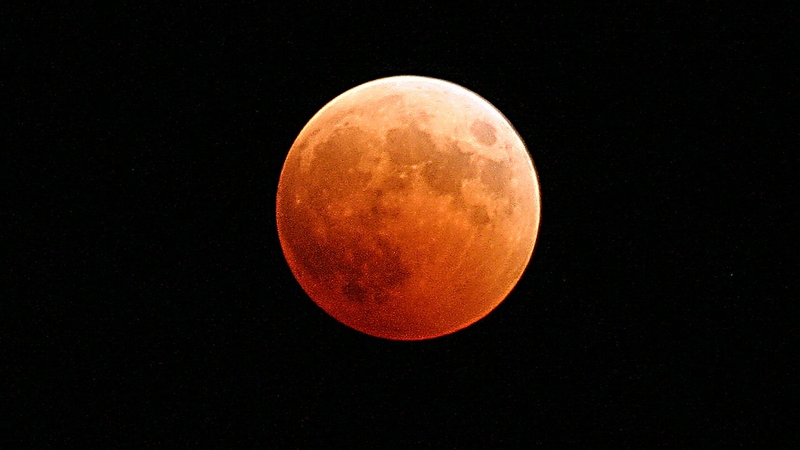 The second bore a headline describing how to see the Blood Moon specifically on the east coast (and then, admittedly, went on to describe all the details about the partial eclipse that would be visible, without ever admitting that there would be no Blood Moon). So let me clear it up, and you heard it here first (maybe) – if you live in the eastern half of North America, you will see a partial eclipse, only. It may be a case of sour grapes – but I don’t really like getting up before dawn anyway. (You know I will…). Have fun seeing what you can, regardless! Two week ago, a relative sent me a smartphone picture of the morning weatherman report for that day, asking if I was going to watch the Moon, Mercury, and Saturn that evening. True enough, the TV station had a caption “Later Tonight” on TV showing the Moon, Mercury, and Saturn together, with “SE” as the direction to look. First of all, Mercury will never be in the SE at sunset. Second, the event they were talking about (those 3 objects close together) had happened 3 days prior and in the morning, right before sunrise. I still have the picture; I may post it. So yes, I can very much believe the media giving misinformation on astronomical events. You can certainly see why folks might get frustrated. Thanks for a heads up on the Blue Moon. The eclipse will not be my focus. I shall be remembering my teenage years and singing Blue Moon. I may have to call on you to bail me out of the Hoosegow! I shall be getting out there.